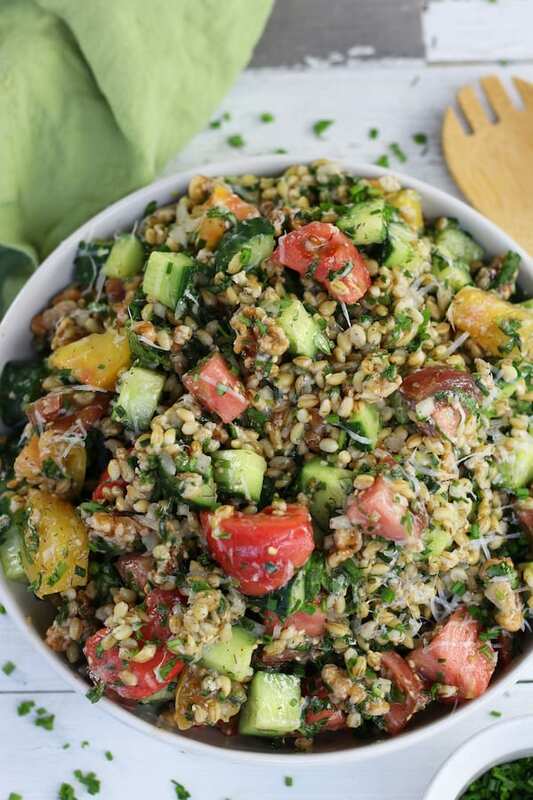 Satisfying and insanely delicious, Herbed Barley Salad has the fresh flavors of lemon, dill, mint and cilantro. 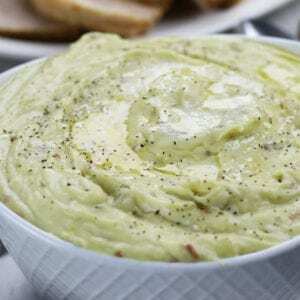 We love having this has a wholesome and cold side dish next to chicken, beef, lamb, pork or fish. Do you have family members that hate vegetables with a passion? Or maybe they don’t hate them, but rather, find them fairly boring? Believe it or not, this is not an uncommon challenge. In my years of counseling clients with weight loss this would come up rather frequently. As we all know, eating plenty of vegetables across the rainbow of colors is not only imperative for health but trying to loose weight without eating veggies is practically impossible. For those that absolutely hated vegetables there wasn’t much I could do to help. Thank goodness that only happened everyone in awhile. More often than not people just became bored with how they have eaten and prepared veggies or they had never ventured out and tried new vegetable recipes. Here is what I would suggest to anyone struggling with this. Make a list of the veggies you do enjoy and how you like them prepared. Spend sometime in the produce department. Get to know vegetables you may have overlooked before like jicama. Experiment! Try different cooking approaches, different kinds of veggies and add them into recipes you may have never tried before. This is how I sneak veggies into my family and myself. 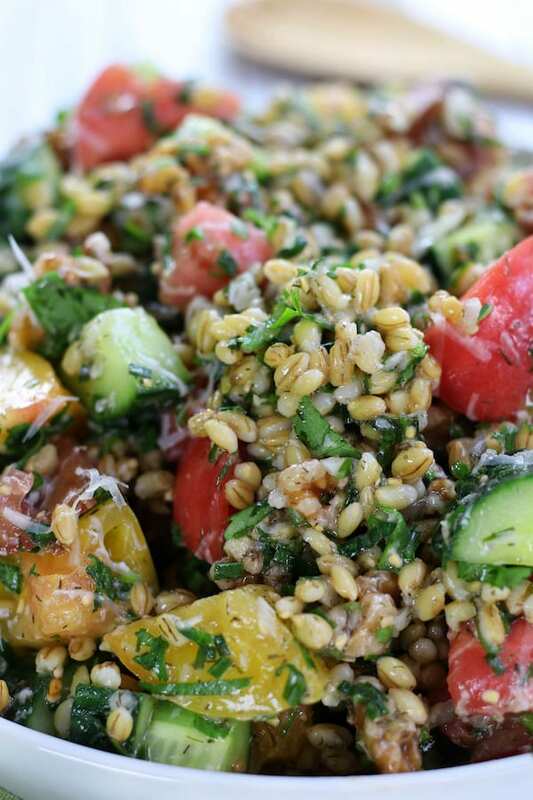 It is also how I create recipes, like this Herbed Barley Salad, that are fun, delicious and get gobbled down. 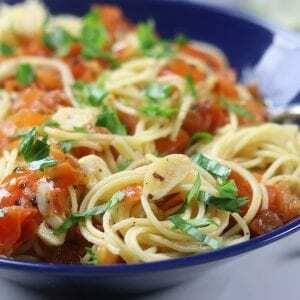 If needed, other recipes that always work wonders at getting everyone to eat plenty of vegetables are Creamy Pesto Vegetable Pasta, Springtime Pasta Salad and Spaghetti Squash Greek Bowls. Hulled barley is given its name because it has had the outermost hull removed. It is chewy, nutty and extremely wholesome. I personally find hulled barley to be much more satisfying than its counterpart, pearled barley. The only drawback to preparing hulled barley is its longer cooking time and is generally harder to find in most grocery stores (please see below for solutions to both of these challenges). Unlike hulled barley, pearl barley is available in most grocery stores. It has had both the hull and bran layers removed. Although still a chewy grain, it takes much less time to cook but does’t have quite the nutritionally density. Is Hulled Barley a Whole Grain? Yes, hulled barley is considered to be a whole grain because of only having the outermost hull removed. 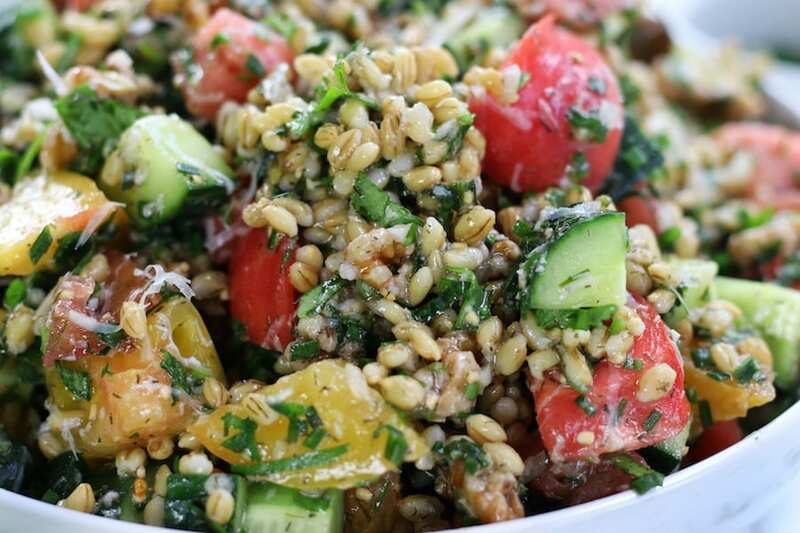 It is a phenomenal tasting grain and definitely worth adding into your menu rotation. If you live in the San Diego area you can find hulled barley in the bulk section for an extremely affordable price at Jimbo’s Market. Another option is to order from Amazon with either this Organic Hulled Barley or for slightly less this brand. 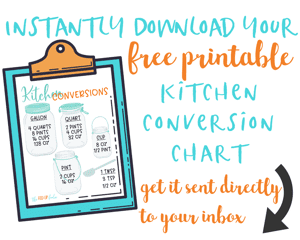 Place 1 cup of rinsed hulled barley in the inner lining of the instant pot with 3 cups of water and 1 tsp sea salt. Place lid on pressure cooker, secure and turn vent to sealed. Cook on high pressure of 25 minutes. After 25 minutes has elapsed let pressure release naturally for 5 minutes and then do a quick release. Drain and add to vinaigrette. Rinse 1 cup of hulled barley well and place into a 6 quart pot with 3 cups of water and 1 tsp of sea salt. Bring to a boil over high heat. Once boiling lower to a simmer and cook, stirring occasionally for approximately 1 hour and 40 minutes or until barley reaches desired tenderness. Drain and add to vinaigrette. Pro Tip: Barley doesn’t tend to foam when cooked on the stovetop. Because of this it is best to keep a watchful eye on it as it comes to a boil. Place 1 cup of rinsed hulled barley in inner lining of your crockpot/slow cooker with 4 1/2 cups water and 1 tsp sea salt. Cook on low for 8 hours or until barley reaches desired tenderness. Drain of excess water and add to vinaigrette. 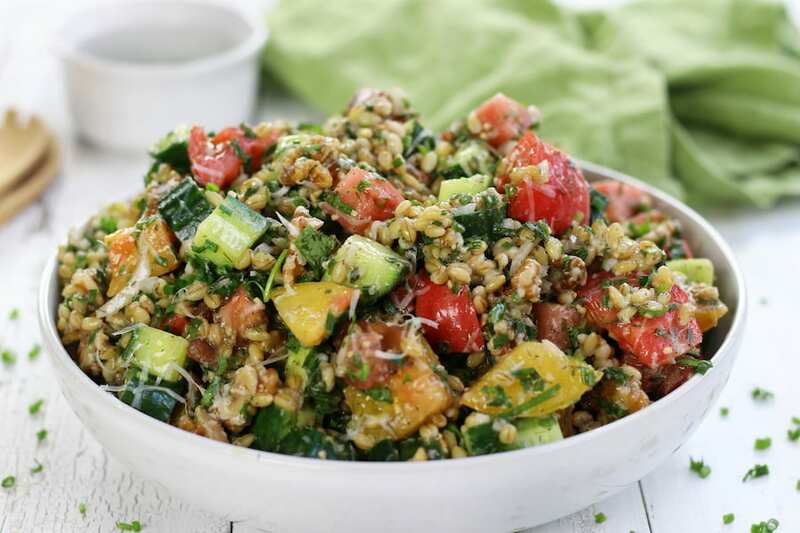 This Barley Salad in satisfying and incredibly delicious with fresh flavors of lemon and herbs. Full of crunch, texture and the nutty flavor of hulled barley. Rinse 1 cup of hulled barley well and place into a 6 quart pot with 3 cups of water and 1 tsp of sea salt. Bring to a boil over high heat. Once boiling lower to a simmer and cook, stirring occasionally for approximately 1 hour and 40 minutes or until barley reaches desired tenderness. Drain and set aside. Preheat oven to 350℉. Spread walnuts out on a large cookie sheet. Bake until toasted, about 7-8 mins. Let cool and set aside. Watch closely as walnuts can quickly go from lightly toasted to overdone. 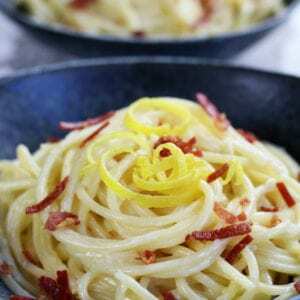 In a large mixing bowl whisk together olive oil, lemon juice, salt and garlic. Add in cooked barley and stir well. 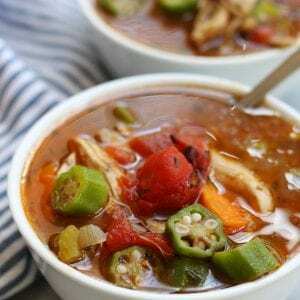 Let cool completely to room temperature before adding other ingredients. Meanwhile, prepare herbs, chives, onions parmesan, cucumbers and tomatoes. Add to barley vinaigrette mixture once barley as cooled to room temperature and toss well. Sprinkle in walnuts at the last min and toss well. 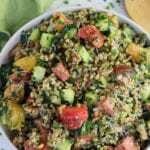 This salad tastes great freshly made or after chilling for a few hours. **1 cup hulled barley yields 3 cups when cooked. Looking forward to making this side dish too! Wonderful! Thank you Annie. It really is yummy and I have been craving making it again very soon. I hope you enjoy!